A cleaner, simpler Google Maps refocuses around "actionable information"
This Google Maps refresh offers a cleaner look, new colors, and areas of interest. Who says you can’t have form and functionality? 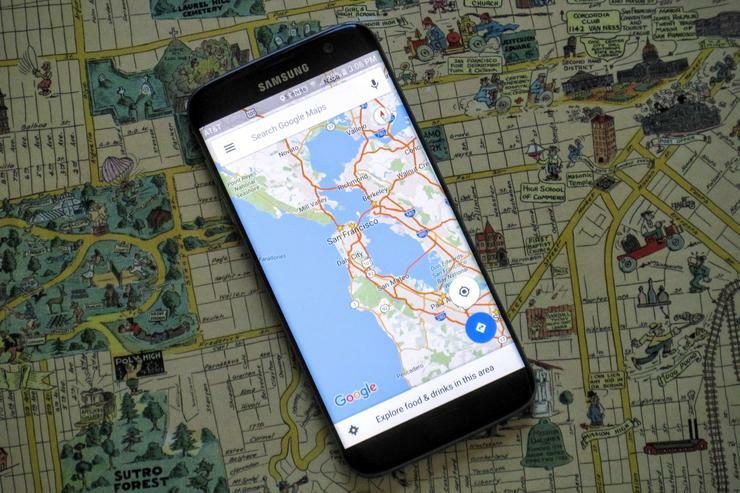 Google Maps just received a major facelift on desktop, Android, and iOS that’s designed make it much easier to find your way about town. The new changes are rolling out now. The first big change: Google gave Maps a cleaner, simpler look. The idea is to help you more easily observe “actionable information” like traffic conditions and transit locations. Bold outline borders for roads have been removed, for example. You’ll still see outlines for major thoroughfares, but all those side streets are just a simple white lines. It’s a small change, but one that does make Maps look less busy and cluttered with information. Google Maps has a cleaner look, new colors, and a new “areas of interest” feature. Google also made some changes to the map’s typography to make it easier to read labels. Neighborhood names, for example, no longer have that faded, italicized look. Instead, they’re bolder and have a larger font size. Points of interest and business names are also shown in a larger size. There’s also a new color scheme for maps that Google says is more balanced and will help you differentiate between constructed and natural features. Finally, Google added a new feature called “areas of interest.” On Maps you’ll now see “hot spots” shaded in orange. These are highly trafficked areas packed with restaurants, bars, and stores. Google says it uses an algorithm to decide where to put these “areas of interest,” and in dense urban areas it also uses the “human touch” to show only the most active areas. It’s not clear if the “human touch” means crowdsourced data from Google Maps users or human curators making decisions back at Google HQ. The impact on you at home: Overall, the changes to Google Maps look nice, but may be a dramatic shift for some. The key for Google is to always make its maps as useful as possible. It’s less about creating a record of street locations, and more about directing your towards a place for lunch, a bus stop, or the closest local park. These new changes should make it easier to read the maps and get to the information you want faster.